12 x 16", oil on linen panel, 2015. 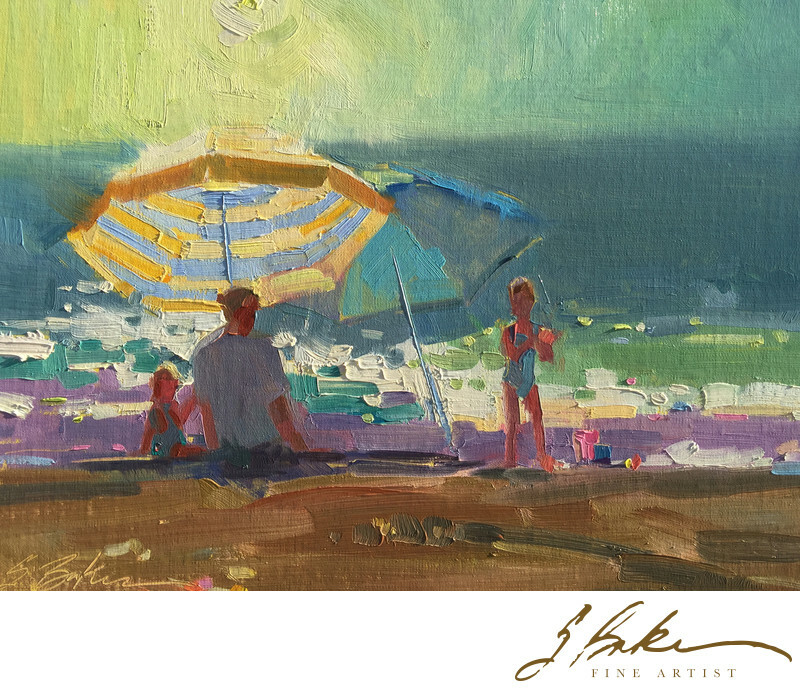 I painted this family while sitting on the boardwalk at Main Beach in Laguna Beach California. I chose to paint this scene because I loved how the sun passed through the umbrellas and creating a motif sun and shade. This is a plein air piece and due to the circumstances of changing light and moving subject matter, it was painted very quickly and spontaneously. I enjoy this type of responsive painting.